A classic that works well for a children's party or an partyu for an 80 year old. 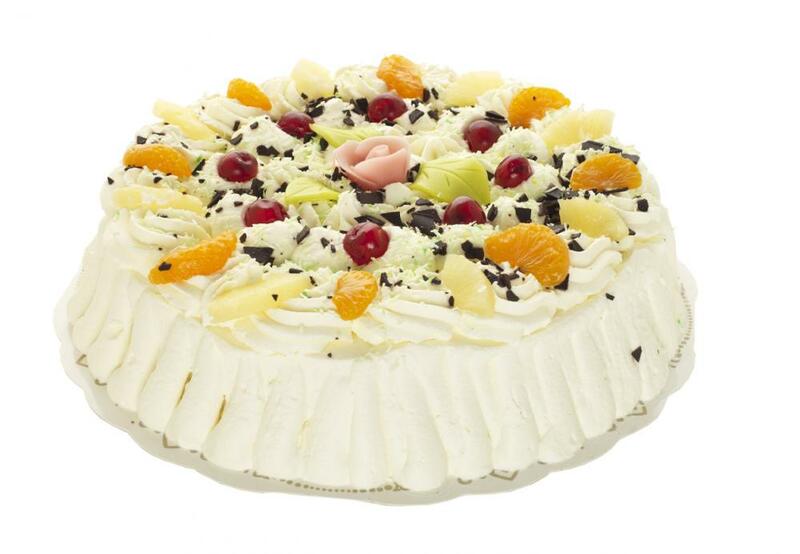 Ingredients: Sponge cake, raspberry jam, vanilla cream, cream and mixed fruit. When you are going to do a party or event for a more memorable and a fun memory, you can without further problems order your Cream Cakes from Skickatarta.se. Here you can find baked goods of all kinds for all kind of events. 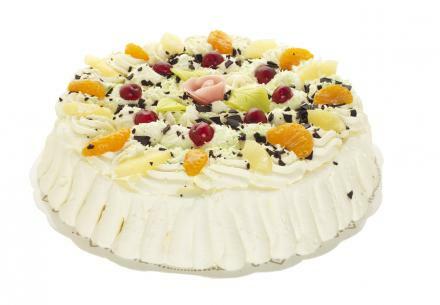 You can enjoy our wide range of cream cakes. All the cream cakes that you get delivered are fresh and baked by the local pastry chefs near where you are getting your cakes delivered. Your cakes can be ready when you want to, and no earlier than the day after you order the cake. In some cases, it may actually happen that the cakes can be delivered on the same day that you ordered your cakes. Your baked goods, you can get anywhere you want within the country. SkickaTårta.se is a way for you to order cream cakes and other fresh baked goods on the Internet and is part of the company Pastry Sweden AB.